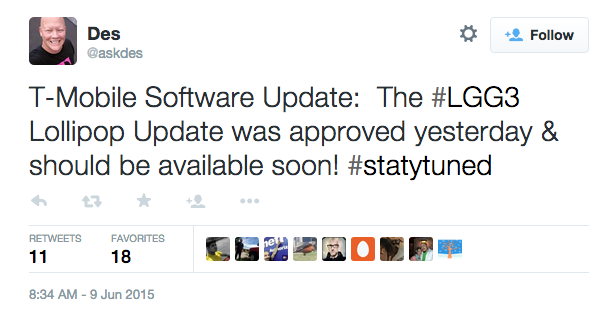 Back in early April, T-Mobile began rolling out a Lollipop update for the LG G3. Sadly, the update must have sucked, because T-Mobile quickly pulled it from servers, not allowing anymore users to update to it. 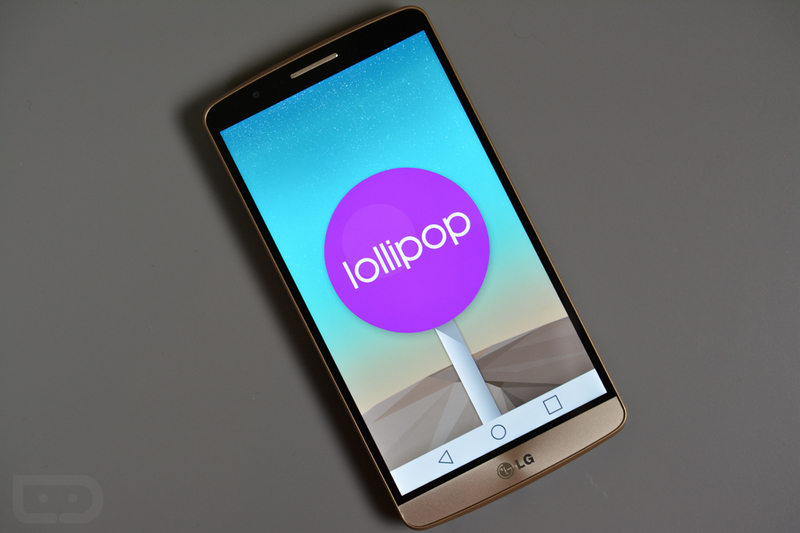 Now, in almost mid-June, Lollipop is officially back, according to T-Mo’s Des Smith. In T-Mo’s software center website, the G3 was listed as under “T-Mobile Testing,” and now, the update has been approved to roll out. Des does not specifically mention when, but just says it will be “available soon” and “stay tuned.” Much transparency. G3 owners, keep your eyes peeled for it.